We want Flickr to be the most amazing community and place for you to share your photos. So, we’re also revealing a beautiful new design that puts photos at the heart of your Flickr experience, where they should always be. Whether it’s a sweeping landscape or a family portrait, we want every photo to be at its most spectacular. 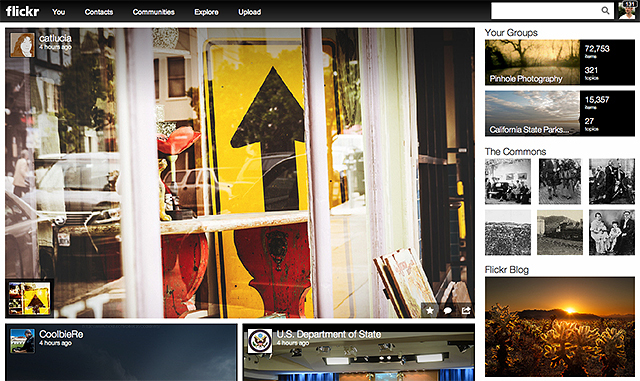 Your homepage is now a gateway to everything you care about, and all the photos Flickr has to offer. Our new Activity Feed combines your friends’ recent uploads with activity on your own photos, and all in a beautiful design that lets you share and interact right on the page. 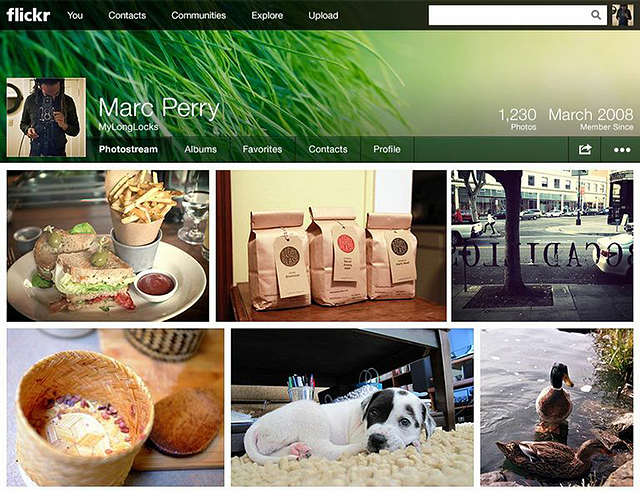 We completely rebuilt the photostream to show off your photos in a seamless layout, and gave you room to express yourself with a customizable cover photo and high-res profile picture. 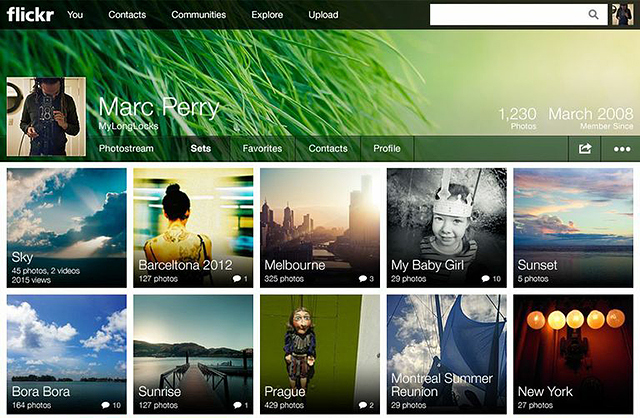 On Flickr, you’ve always had powerful tools to organize your precious photos. Now your sets tell an even more beautiful story around your photos for you and anyone who’s reading along. Our new photo experience displays images in as many pixels as possible, with all the context you need to easily chime in on the conversation around every image. There’s also a new slideshow mode that beautifully showcases photos so you can simply lean back and enjoy them without lifting a finger. We combined elegant transitions and facial detection technology to make sure the key elements in every photo are highlighted. Wherevr. A Flickr you can take anywhere. The world is going mobile, and in December we took the first big step to send Flickr wherever you go with a new and beloved iPhone app. Our brand new Android app pushes the boundaries on beauty even further. We designed it with your needs in mind: how you interact, how you share, and how you view photos when you’re on the go. 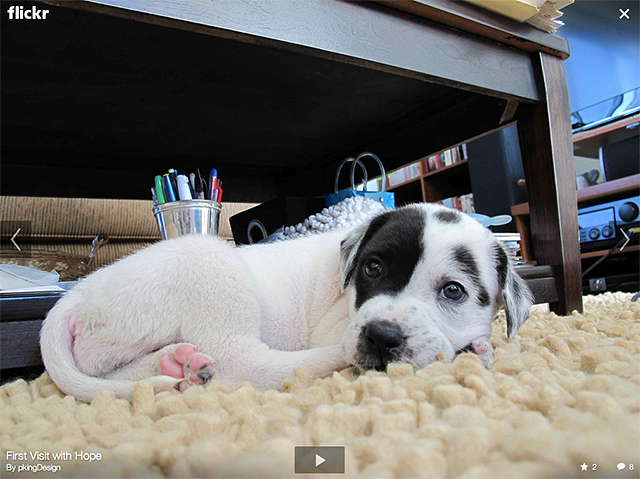 So Android users, head over to the Google Play store where the new Flickr app is waiting for you. None of this would have been possible without you, the Flickr community. Much of what you see here started as ideas we’ve heard from you over the years. We are all truly excited to deliver the home your photos deserve, whether you’re sharing them with your friends, your family, or the world. Let us know what you think, and come to the forum to give us your ideas and feedback.